EVANSVILLE, IN, JULY 27, 2018 – Technician.Academy is thrilled to announce that the winner of the 2018 Respect is Learned© In The Pits contest has been selected. Four finalists were asked to submit short videos that highlighted their interests in motorsports, any possible interactions with the sport, and/or why they deserved to win. In order to narrow the finalists down to one, these videos were viewed by the Technician.Academy team as well as Randy and Megan Meyer. Joe Martino was selected as the winner based on his involvement with and passion for the automotive repair industry as well as his dedication to training. Joe Martino is a sophomore at McHenry County College in Crystal Lake, IL, and will be graduating at the end of the summer with an Associates in Automotive Technology. He started working in the shop with his dad at a very young age, working on 350 Chevy small blocks and muscle cars. The drag strip was always a summer hangout for Joe, where he spent his weekends with family and friends, even taking days off work to be there. Joe Martino will spend a weekend at the Lucas Oil Raceway in Indianapolis, IN, for the 2018 Chevrolet Performance U.S. Nationals, September 1–3. He will work in the pits with the Randy Meyer Racing team handling Megan Meyer’s Top Alcohol dragster and working with the pit crew. This year’s contest is brought to you by MotoRad USA the leader in advanced thermal management. For more information about the In The Pits contest, other upcoming opportunities, or to help the team impact the lives of future technicians, contact Technician.Academy at [email protected] or call 855-306-8818. 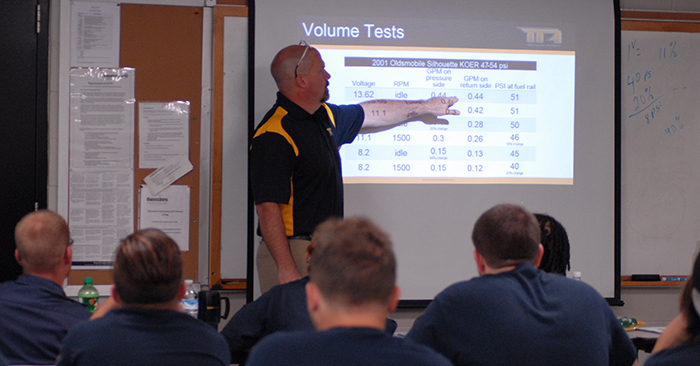 ABOUT TECHNICIAN.ACADEMY: Technician.Academy offers personalized online courses as well as blogs, how-to tips, and industry insights to automotive technicians. EXTEND PERFORMANCE, a solutions-based automotive marketing agency in Evansville, IN, introduced Technician.Academy in 2016 to provide a single location for accurate training and content that is valuable to the automotive technician of today and tomorrow. For more information, please contact Technician.Academy and EXTEND PERFORMANCE at 855.306.8818 or by email [email protected].